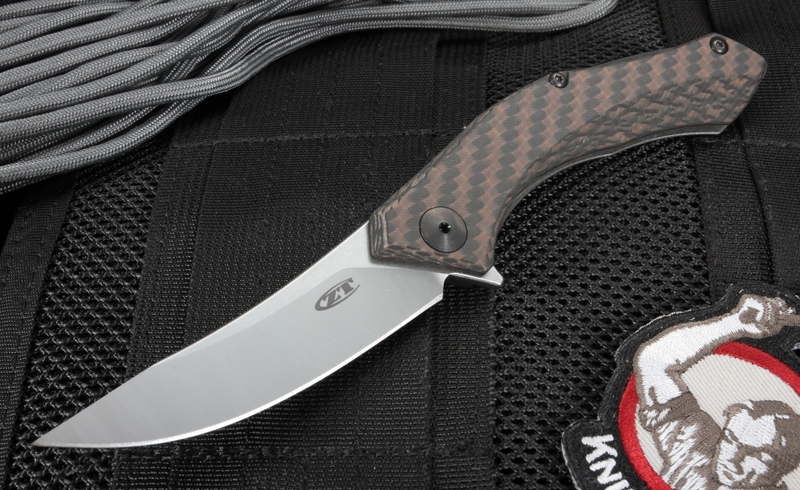 Dmitry Sinkevich designed one of the top-selling Zero Tolerance knives, the 0450. Though it is a hit, some knife users wanted more. They desired more size, handle curve, and contoured carbon fiber. The 0460 is the result and fits these desires. The knife opens fast, carries easy and is the right size for daily carry. 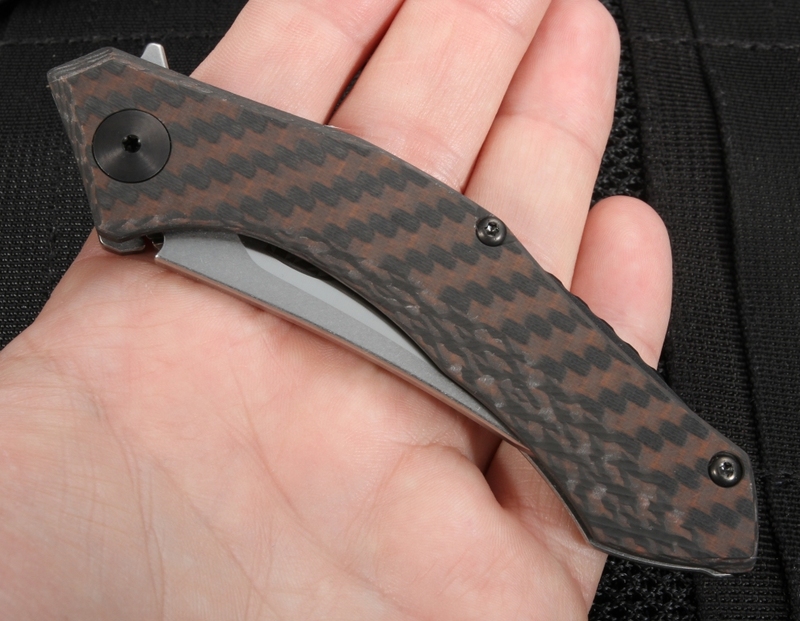 The blade of the ZT 0460 is a manual flipper. The pivot system is KVT ball-bearing making the compact everyday carry folding knife easy opening when you need a blade. It is 3.25 inches long and 0.12 inches thick. The high-quality American-made steel is CPM S35VN with niobium, vanadium, and chromium carbides. This allows increased toughness and wear resistance. The steel and carbides provide a blade that resists chipping and stays sharp for the job. The blade sweeps slightly upwards with a two-tone finish. A stone wash on the flats and satin on the grinds gives the 0460 a sharp look. The handle is 4.25 inches in length. It has a pronounced curve that fits comfortably in hand. 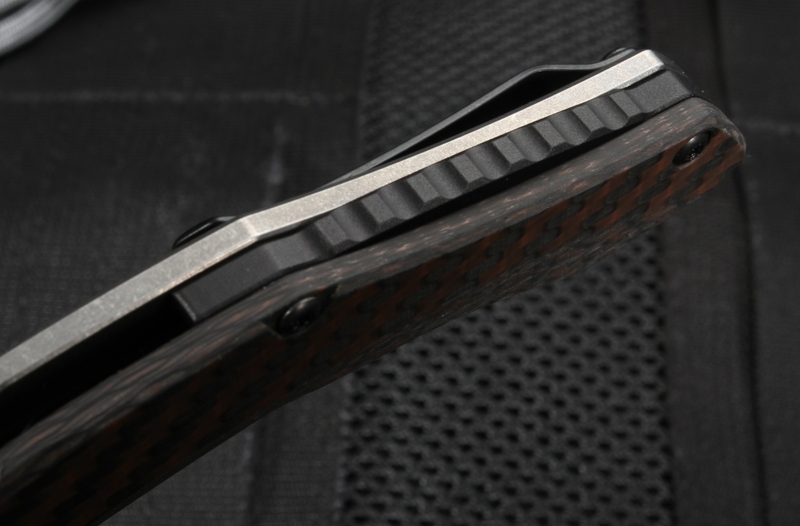 A bronze carbon fiber composite creates the front scale. A stone washed titanium makes the frame lock. The handle has a hardened steel lock bar insert. The combination, carbon, and aerospace-grade titanium, make the handle durable yet lightweight. The knife has a raised and textured spacer for a positive grip. The handle has partial 3D machining in its construction. This adds to the grip and comfort of the knife. The construction also reduces the overall weight. The weight of the entire knife is 2.30 ounces. 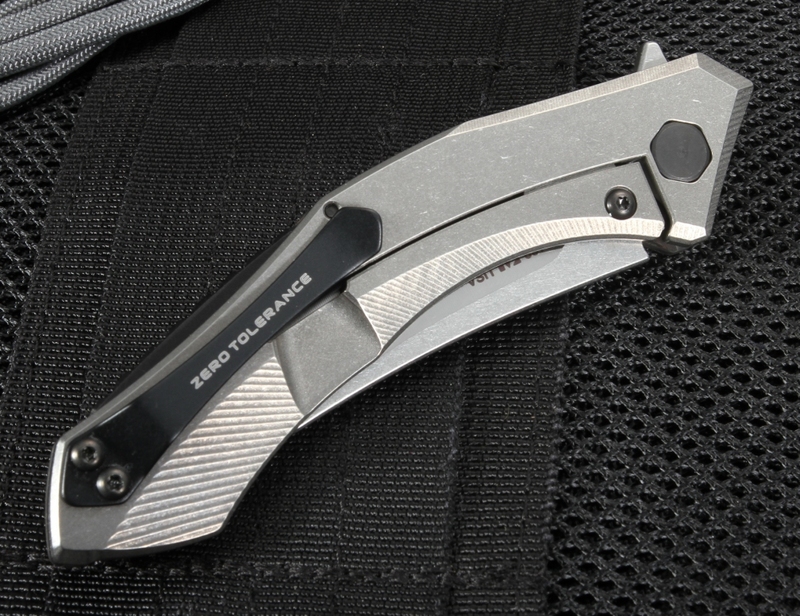 The Zero Tolerance 0460 is a fine knife for anyone that desires a quality EDC folder. We know quality after almost 20 years of dealing with the finest in knives. We select each model we sell. With a secure order online, you will get fast delivery. Orders that exceed $150 are eligible for free shipping in the US. 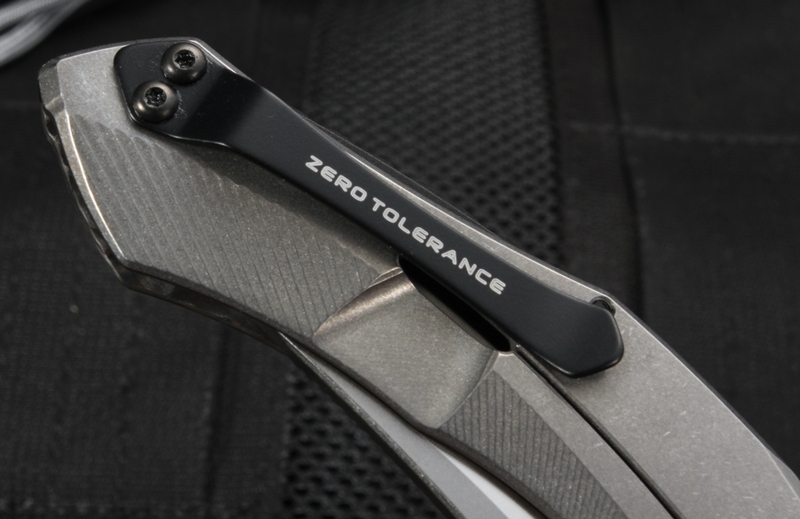 Look us up and check out the Zero Tolerance 0460. I have several quality knives , but I wanted a lightweight, sharp, easy one hand opening, egornomic design knife, and this knife exactly met my requests. 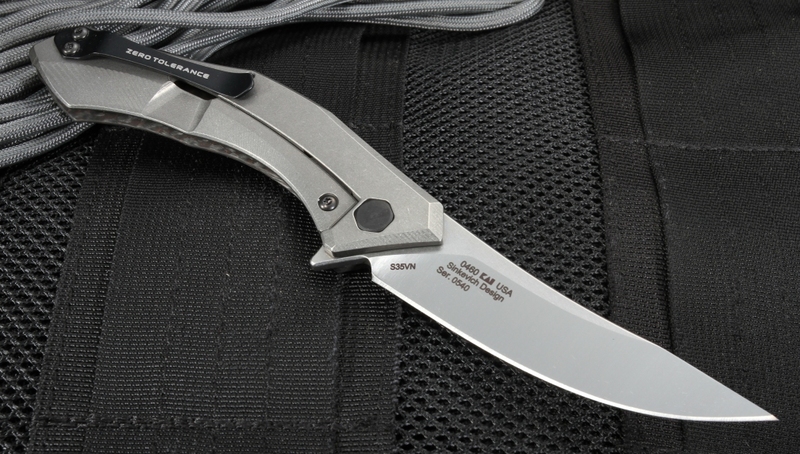 This knife is very high quality and easy to carry with a no obtrusive pocket clip. After looking at the 0450, I selected the 0460. This compact flipper has a curving persian style blade and is an extremely fast opener. The carbon fiber handle scale is thick yet fully contoured for a good grip. Glad I got this one, the ZT really has made one of the best EDCs around.